Feb 11 (AZINS) Thala Ajith’s latest festival outing 'Viswasam' has successfully entered the fifth week with more than 224 screens playing the film across Tamil Nadu. Now, the film has crossed the Rs 130 crore gross mark in the state and has become the new industry hit for Tamil cinema in Tamil Nadu. SS Rajamouli's 'Baahubali: The Conclusion' is the only film in the state to have collected more than 'Viswasam'. In terms of the distributor share, 'Viswasam' is again the top-earning film in the state, only behind 'Baahubali 2', which set the cash registers ringing. 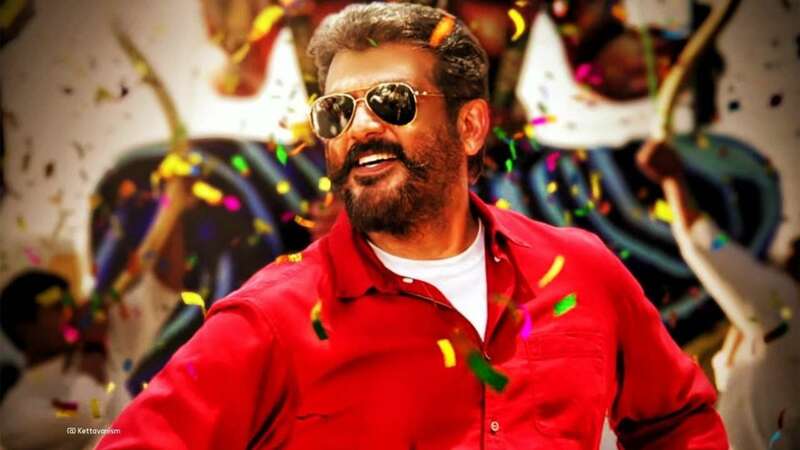 Meanwhile, in Chennai city, Viswasam has grossed Rs 12.96 crore from 32 days and will soon make headway into the all-time top-five grossers in Chennai city, surpassing Vijay's 'Mersal' directed by Atlee. Considering that Viswasam was a non-solo release for Ajith since the movie took Superstar Rajinikanth's Petta head-on at the Pongal box-office, the numbers posted by Viswasam have left every industry stakeholder in awe. The film directed by Siva marked his fourth successive collaboration with Ajith after Veeram, Vedalam, and Vivegam. Meanwhile, Ajith has already started shooting for his next untitled film, fondly called by his fans as Thala 59. An official remake of Pink, the film is being directed by Theeran Adhigaaram Ondru fame Vinoth and is produced by Boney Kapoor. Shraddha Srinath has been signed to reprise the role of Taapsee in the film, which also features a special cameo by Vidya Balan, who plays the role of Ajith's wife.